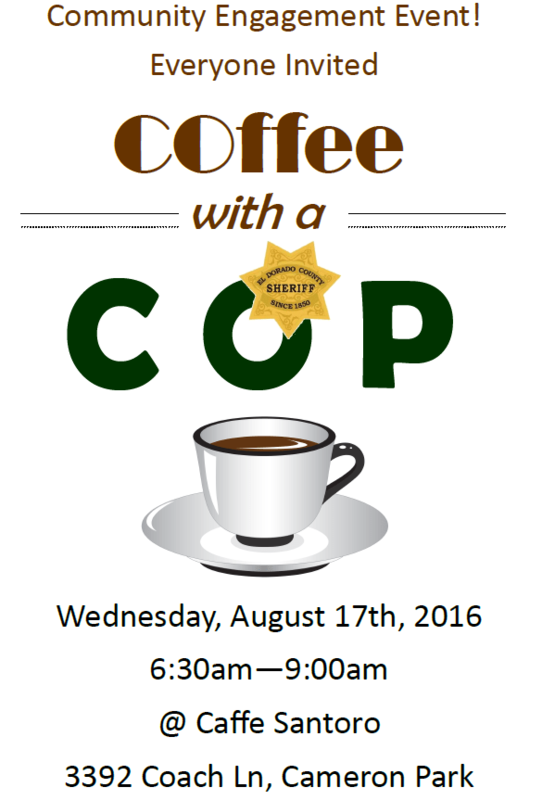 Please come out and have a cup of coffee with members of your El Dorado County Sheriff’s Office. There are no agendas or speeches, just coffee and conversation with EDSO staff. We look forward to seeing you there!